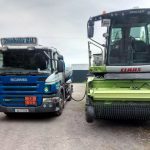 Imokilly Oil was established in Midleton, Co. Cork by Maurice and Bridget Smiddy in 1998 and is now a leading supplier of home heating oil & Agri Diesel in the East Cork, West Waterford and surrounding regions. 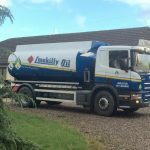 We've been using Imokilly oil for a number of years and couldn't complain or find fault about a single thing. Fast, efficient, very friendly staff that couldn't be more helpful or reliable. Can't praise them enough and would recommend them to anyone. Great job guys. Consider us your local supplier, we do! We have delivery routes covering all of East Cork. We are dedicated to serving our Farming Community. Whether it’s for machinery (generators, tractors, stackers trucks) we are able to prioritise orders to keep you and your business working. 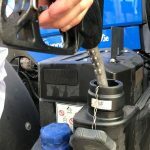 A forecourt sale service is available at our Midleton depot. If you drive a diesel vehicle, car, truck or van, please check out our competitive prices. Tags are available upon approval for 24hr access.